Dr. Stephen H Wolpo, D.D.S. Dr. Wolpo works closely with you to achieve your smile “makeover” through a complete array of cosmetic dental services. He is committed to helping you feel great about yourself and your appearance by creating a healthy and confident smile that will last a lifetime. With a well-earned reputation for safe, clinically advances and effective treatments, Dr. Wolpo uses the most up-to-date and clinically advanced equipment and techniques, including cosmetic computer imaging, the “painless” Waterlase Dental Laser, Invisalign “invisible” braces and LumaLight tooth whitening treatment. Dr. Wolpo and his highly skilled team at Smile Sensations take cosmetic dentistry to new and exciting heights. They help you relax and see what you can truly be. Working together, your dream of a perfect smile becomes reality. 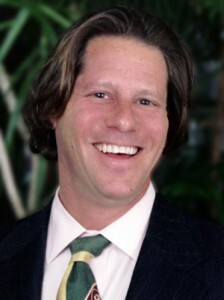 STEPHEN H. WOLPO GRADUATED FROM New York University College of Dentistry. He opened practices in Manhattan and Stamford, Connecticut, providing comprehensive dental treatment for children and adults. Dr. Wolpo has achieved mastership level certification from the Aesthetic Advantage Rosenthal Institute at New York University College of Dentistry and completed a two-year program in implant surgery and oral rehabilitation. Dr. Wolpo also completed a two-year program in orthodontics for the general practitioner at First District Dental Society in New York. He is a Fellow of the International College of Oral Implantologists as well as an Associate Fellow of the World Clinical Laser Institute. As an Associate clinical instructor at Columbia Universityâ€™s College of Dental Medicine, Dr. Wolpo lectured on geriatric dentistry and emergency medicine for the dental practice, teaching dental assisting under a grant from the Robert Woods Johnson Foundation. The foundation supports a wide array of research and programs that are working to help build a national culture of health. Dr. Wolpo has served as a clinical instructor at Columbia University and has lectured at Columbia University Presbyterian Hospital on geriatric dentistry. He is a practitioner of the state-of-the-art “Teeth in an Hour” program, allowing many denture wearers to return to better oral health, nutrition and quality of life. He has served the Stamford community as the consulting dentist at the William and Sally Tandet Center and at Edgehill retirement home. Dr. Wolpo maintains a commitment to continuing education to provide patients with the latest techniques, technology and materials in oral care. He uses an interdisciplinary approach and works with local specialists to achieve outstanding results for all patients. Dr. Wolpo contributes a great deal of his professional time to treating patients with special needs through ARI. If you know someone who could benefit from his unique abilities and expertise in this area, please bring them to his attention. In addition Dr. Wolpo’s practice specializes in elder care and the unique needs of our older population. He has served the Stamford community as the attending dentist at several in the area elder care facilities, including the William and Sally Tandet Center and at the Edgehill retirement home, and continues to make house calls to local nursing homes to assist infirmed patients unable to visit his office. Among his numerous civic affiliations, Dr. Wolpo is a member of the Society for Special Care in Dentistry, the Stamford Chamber of Commerce and the Stamford Umbrella Club, dedicated to helping disabled children and their families throughout Fairfield County. 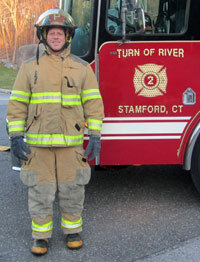 He has also been a member of the Stamford Exchange Club and served as a volunteer firefighter with the Turn of River Fire Department. In his spare time, Dr. Wolpo enjoys skiing, golf, sailing, biking and hiking, as well as family time with his wife and teenage daughter.